For more than 130 years, National Geographic has been documenting our extraordinary planet and all that is in it. We bring stories of adventure, world cultures and wild places to life in exhibitions, live events and experiences that are designed to be shared with audiences of all ages. We partner with museums, science centers, universities, galleries, zoos, and aquariums all over the world on relevant and important projects. From large scale interactives to stunning photography shows, National Geographic Traveling Exhibitions are a window to the world. Please select your location below to view exhibitions available to be hosted by your venue. INSIDE THE U.S.A. OUTSIDE OF THE U.S.A.
Fun will reign during our ninth annual after-hours campus takeover by Brightest Young Things. 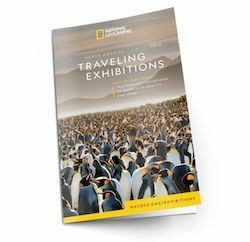 National Geographic offers high-quality traveling exhibitions to meet the needs of institutions both small and large. 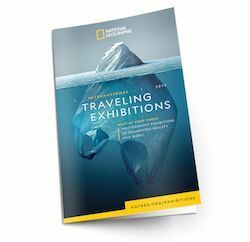 Working with photographers, explorers, and other partners in the fields of exploration, technology, education, and storytelling, National Geographic creates exhibitions covering a wide range of topics to appeal to multiple audiences. For venues located outside of the United States, National Geographic offers digitally delivered content packages. This option eliminates international shipping fees by providing partners with a secure link to download their exhibition files and production guidelines for printing and mounting the exhibition. For partners located within the United States, a printed and crated exhibition will be shipped to your venue, ready to hang. To host a traveling exhibition, fill out the hosting request form. A member of our traveling exhibitions team will respond within one business day to discuss your venue’s interest, to outline fees and logistics including shipping, and to answer any additional questions you may have. A traveling exhibition manager will walk you through the process of selecting the right exhibition to meet your programmatic goals and space. This includes providing you with detailed object lists with images for your review and reviewing the schedule to find out what is available during your desired time frame. A typical hosting period is 3-4 months. The loan fee ranges with the size and complexity of the exhibition selected. Please connect with us via the hosting request form to discuss specific loan fees and timing as there may be some flexibility. Shipping arrangements are made by National Geographic in consultation with the venue and may be included in the exhibition loan fee. If shipping is not included in the loan fee, the exhibitor will pay for the cost of inbound shipping. A list of crates with their sizes and contents are provided to the venue to assist in installation planning. For larger exhibitions where multiple tractor trailers are used, a detailed truck pack plan is provided to the venue in advance to assist in installation preparations and staging plans. The traveling exhibitions manager will identify any manpower and special equipment needs for unloading and loading at the exhibitor’s location. Installation requirements vary considerably depending on the size and complexity of the exhibition. For smaller photography exhibitions, installation may take only a few days with minimal staff. For larger exhibitions with exhibition furniture, audio, visual elements, and artifacts, it may take two weeks. The traveling exhibitions manager will work closely with you and your staff to develop a detailed installation and de-installation plan tailored to your needs and exhibition characteristics. [EXHIBITION NAME] is developed and traveled by the National Geographic Society. National Geographic has placed exhibitions in more than 40 countries worldwide, which has been viewed by millions of visitors. Content for the exhibitions are provided via digital delivery; thereby eliminating costly customs and shipping fees. Please connect with us via the hosting request form and the manager for international traveling exhibitions will be in touch with more information regarding available shows. See all international traveling exhibition offerings. See all traveling exhibition offerings for North America. Be the first to hear about new traveling exhibitions and digital offerings in our quarterly newsletter.